Just from the name, you know what to use mailroom sorters for – organizing mail. It’s pretty obvious. But there are certain tricks to using the mailroom sorters that will help you be more successful. Here are the ones we’ve found to be most useful for our customers. 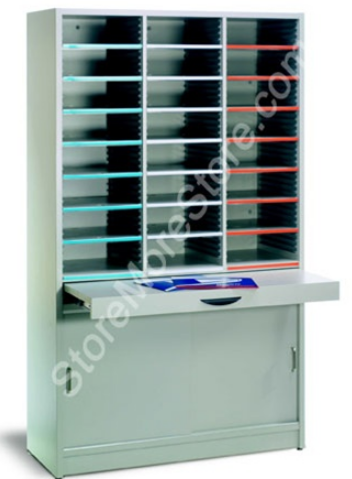 If your mailroom sorter is taller than eye level for your shortest employees, the clear shelves will improve visibility, allowing all employees to quickly find what they need. Any kind of document, from brochures to forms and flyers to folders, can be kept in mailroom sorters. 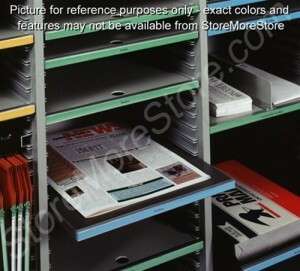 The color-coded labels are easy to apply and change out on the shelves, which makes organizing mail or other documents much easier. You can easily divide your space and get documents from one area to another with the pass thru sorters. These sorters can even be installed inside your existing walls. 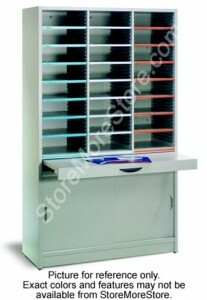 The smaller desktop sorters make a great addition to your workstation. 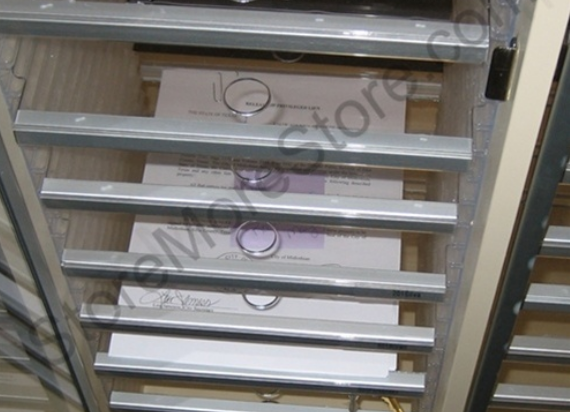 Documents and files can be easily retrieved and organized right where you need them. 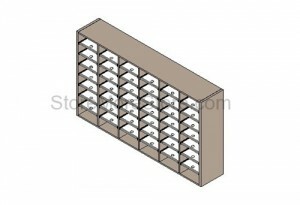 There are freestanding sorters with shelves from top to bottom, and there are sorters attached to tables. Mixing and matching lets you create the right system for your office’s needs. 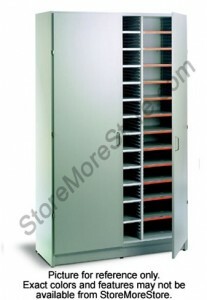 At StoreMoreStore, we have all types of mailroom sorters and accessories to help you get organized. If you need any help choosing the right one for your office or have any questions, please don’t hesitate to give us a call at 1-855-786-7667.